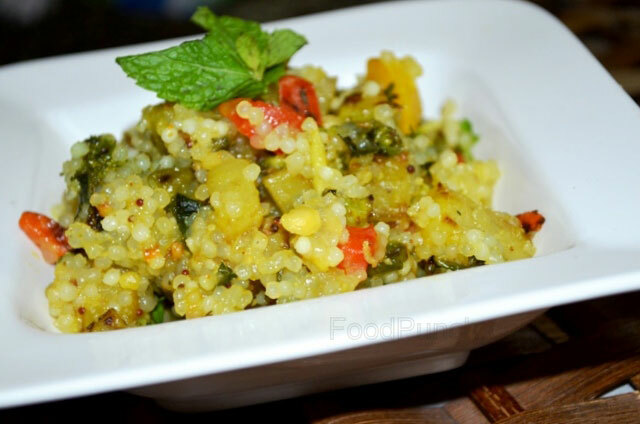 A favourite Indian breakfast or snacks that’s easy to make and quite filling. 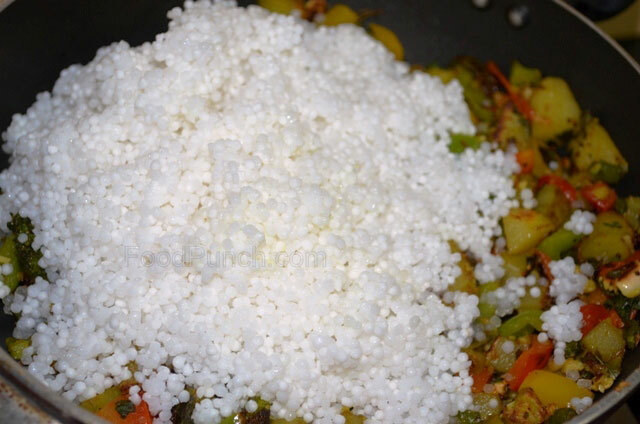 Here’s a nice low fat and healthy recipe made from tapioca pearls or much popular as Sabudana in North India & Sago in South India. 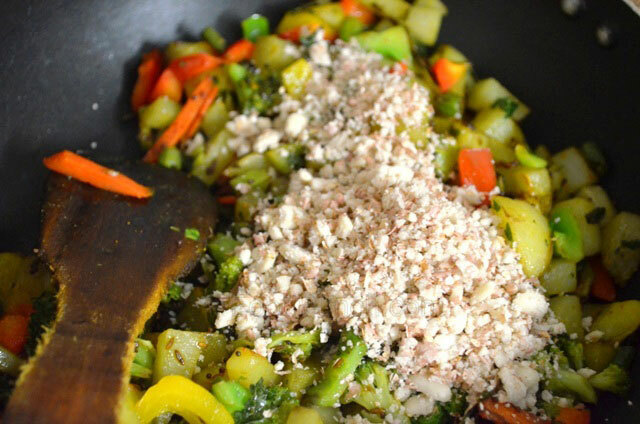 This breakfast recipe is a tasty delight loaded with lots of veggies and nutrition. Wash Tapioca pearls 3-4 times and drain water. Sprinkle water on that and keep it for 2 hours covered with a wet cloth. 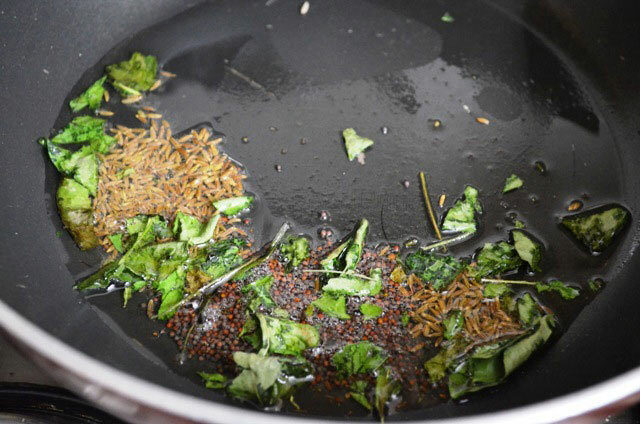 Now take oil in skillet and add mustard, cumin seeds, green chilli and curry leaves. Sauté until the mustard start crackling. Now add potato and sauté till light brown in colour. Now add broccoli, French beans and carrot. You can also use half boiled broccoli, French beans and carrots to reduce the preparation time. 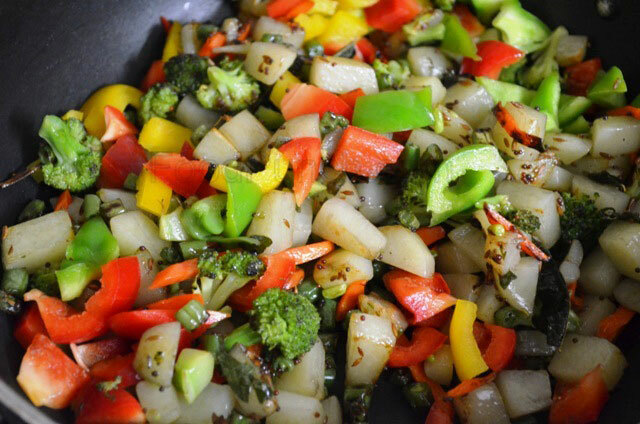 If your veggies are not half boiled, cover & let them cook for 10-15 minutes until half done. Now add capsicum and mix well. Add turmeric, groundnut and raisins and mix it well. Let it cook for 2-3 minutes. Now add tapioca and mix well until you see the tapioca pearls getting translucent. When the pearls are translucent, turn off the gas. 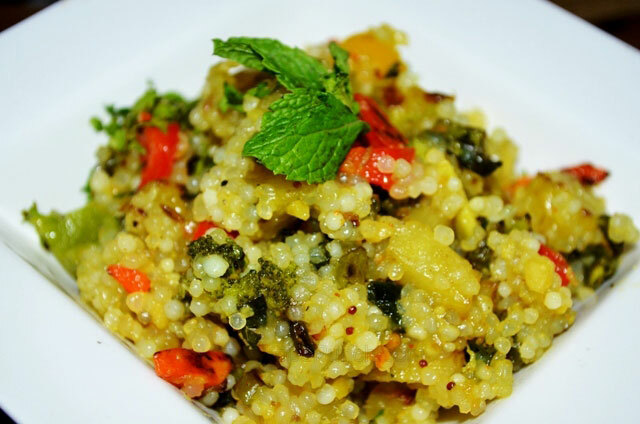 Add lemon juice, chopped coriander & mint.